Startup Insider is a series of articles with the goal of helping aspiring founders and entrepreneurs understand the ins and outs of starting a startup. You can sign up to stay up to date with this series here. If you have any interesting stories, you can email us here. We got to sit down with Shopline Cofounder and CEO Raymond Yip at the recently concluded RISE Conference in Hong Kong. 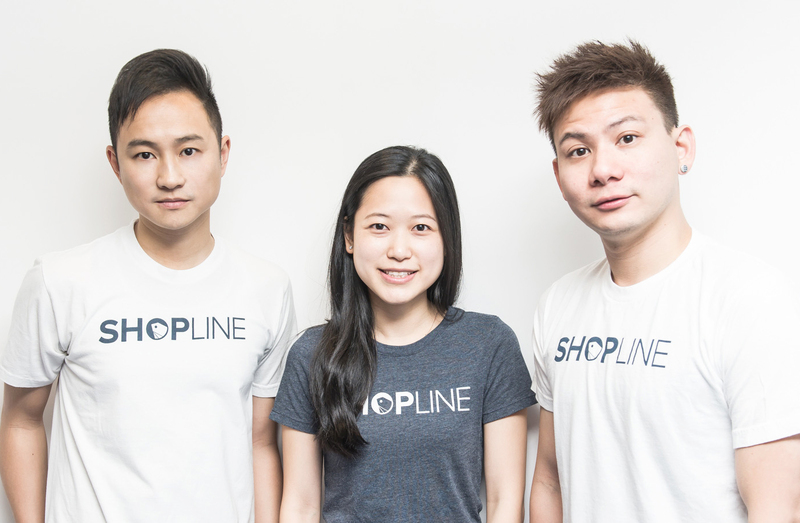 Shopline is a Hong Kong-based startup that allows non-tech-savvy merchants to launch self-branded web and mobile online shops in minutes. The mobile focus allows merchants to setup and customize their online shops even on their smartphones. Since being founded in 2013, the Shopline team has expanded its operations to Taiwan as well, and they plan to move to the rest of Southeast Asia in the upcoming months. Shopline's latest $1.2M seed round was led by 500 Startups and Ardent Capital. Their key differentiator from similar services? 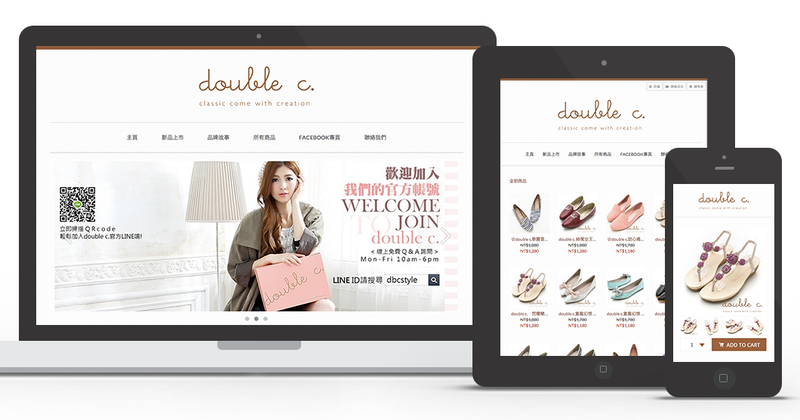 Shopline offers localized language support, payment options, merchant support, logistics integration and domestic domains. Their heavy emphasis on local customer support allows them to build great relationships with local merchants. Shopline Cofounder and CEO Raymond Yip comes in with a unique story having been born in Hong Kong but raised in New York City. He would move back to Hong Kong while maintaining the New York City hours. This would give him the opportunity to work on side projects and explore the startup scene during the day. This flexibility and interest in the startup world would eventually lead him to meeting his cofounders and starting Shopline. "I always had this entrepreneurial edge where I've always wanted to do something different and separate on the side. I would wake up at 10 a.m. or 11 a.m. and go do whatever." It was during a tech talk event, where he would meet his first cofounder Tony Wong. Raymond shared, "I was leaving early and right next to me in the elevator was this gentleman who was leaving early as well. We ended up chatting and talking about startups." This relationship would develop as the two guys would hang out, share ideas and eventually join a Startup Weekend event. While they would go just for fun with separate teams, Tony's team would end up winning the whole event, while Raymond's team ended up winning the best design award. The prize? Free membership from a coworking space. With the free office space and an idea to make an ecommerce application, Raymond and Tony went to work. Raymond was designing while Tony was coding but then they figured that they needed a business-minded person who could run the operations, marketing and sales. Raymond shared, "So we looked back at the people we met at the Startup Weekend event and one of the people that came to our mind was this girl named Fiona Lau. We ended up recruiting her and she became our cofounder and COO." While building an ecommerce marketplace for merchants in Hong Kong sounded like a really cool idea, the team would face a chicken and egg problem with building it from scratch. Raymond shared, "We would talk to a lot of merchants locally and we would be knocking on doors of shops and 90% of the people would tell us to go away. However, the remaining 10% told us that it would be really cool if we gave them a way to build a website easily." These insights from the merchants they talked to, coupled with insights Raymond and Tony had gained from doing freelance work would lead to a pivot to the current version of Shopline. Raymond added, "Tony and I were doing freelance work and 9/10 of the requests was to build an eCommerce store and we would quote them a price and they would tell us that it was too expensive. So we were like, why don't we just make a tool that would allow these merchants to easily create an online store." This new version wouldn't launch until April 2014 but when they launched, traction would quickly pick-up, as they would become only the second team from Hong Kong to get accepted into the 500 Startups accelerator program. The team would pack their bags and spend the next 4 months in San Francisco, learning from the best. Raymond shared, "What's good about 500 startups is that they're very global minded right from the get go. They're also very heavily invested both thinking wise and money wise into Asia. The accelerator was good because we got exposed to Silicon Valley and it translates into what I do here in terms of fundraising and stuff." The Shopline team's experience in the 500 Startups accelerator also taught them how to scale their product and use the latest technologies. Raymond also emphasized the culture of collaboration in Silicon Valley. He shared, "Just the camaraderie, sharing, the spirit and the energy out there is just crazy. When you ask for help, they reply with I really want to help because I see a lot of opportunity here and if I help you, you help me and we're cool with each other. The network is also very big as well so that helps whether with the business partnership side or the fundraising side." The Shopline team back in 2014. They now have over 25 employees. Having closed their seed round last year, Raymond learned the importance of building a real business when raising money from investors. Raymond shared, "From very early on, we make a lot of money already and we're building a real business here; Investors like this. Merchants really like us as well because we speak their local language and the language of business." 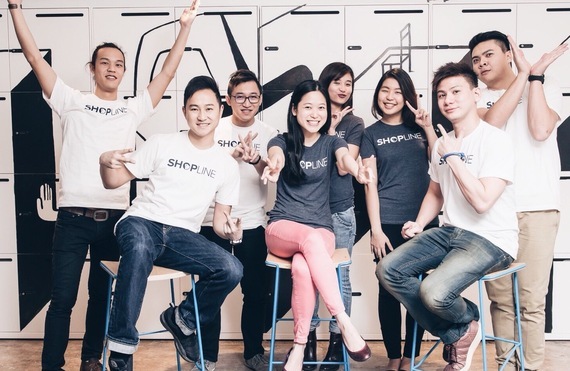 Aside from being cheap and affordable for merchants, Shopline also holds eCommerce seminars twice a month in Hong Kong and Taiwan to help educate merchants about going online. The team also holds office hours with merchants to make sure that their questions are answered and to show them that they care. Raymond emphasized the importance of these face-to-face meetings especially in Asia where there's a huge emphasis on culture and trust when it comes to doing business. This has reaped good results for Shopline as 8-10% of the merchants that attend their eCommerce seminars end up being converted into users of the Shopline service right on the spot. Raymond shared, "Just knowing that people will spend $1 for something you build feels good. Then raising money was further validation that we weren't lying to ourselves." 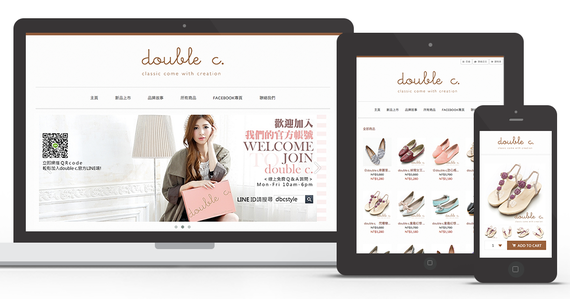 In the last 5 months, Shopline has expanded rapidly, launching fully In Taiwan, which has become their fastest growing market. Shopline now has a team of over 25 people, with offices in Hong Kong and Taiwan. He shared, "Hiring people always stays a challenge. But understand that hiring is a challenge everywhere whether in Asia or in Silicon Valley." He added, "Most of the team members we have now really love what they do and really believe in being part of the Shopline team. We don't require them to work more than what they need to but they do it anyway. Usually, at 11 p.m., they're still answering emails." Raymond recalls the early days when the system would go down due to technical issues and everyone in the team would stay extra hours to make sure things got fixed as quickly as possible. Having worked 15 years in a bank prior to starting Shopline, Raymond shared and contrasted his experience in the corporate world and the startup world. He shared, "Although the pay is very stable, as you go up the ranks, while you do less and get paid more, you start to lose your sense of energy and ownership. You start feeling that you don't matter and I just got tired of it." At the same time, Raymond had been working on side projects all this time, launching Facebook applications, mobile social networks, ad networks and what not. He added, "I was just waiting for that one idea and for me, it was also about meeting the right team and meeting the right people to actually execute and do it." He also recalls the time when all his colleagues in New York were laid off while he was in Hong Kong. At that time, he was thinking that he needed a backup plan. He told us, "One day you're here, the next day you're gone. In startups, you never really know as well but you can actually mold and make it what you want to be. Whereas in a big corporation, you do whatever you do and you can still be stuck." "Just go and do it. There's nothing to lose. Ask yourself, what's the worst thing that can happen? You find another job. Big deal." This was the first piece of advice Raymond gave to aspiring entrepreneurs. He added, "Picking the right team is key. I can speak from personal experience. The three of us were pretty complete. We had somebody who knew the tech, somebody who could design and somebody who could drives the sales and marketing. If you have those three pieces in place, you're pretty good." He also emphasized the importance of thinking big from day one not only for the investors' sake but also for your sake. He said, "Be global or at least regional from day one. Just keep on going and don't be afraid." Long term, Raymond hopes that Shopline can become a recognized regional player in the eCommerce space and be known as the enabler that helps merchants in Asia gain an online presence. With over 40,000 stores that have been created via Shopline so far, Raymond hopes to continue to momentum by helping merchants focus on their online presence and branding without having to worry about the technical side of things. He ended with, "I think Asia is the place to be. If the last 10 years was the golden age for eCommerce for the west, these next 10 years will be the golden age for eCommerce in Asia. Whoever can localize their product and speak the local language in the local market has a pretty good chance of winning." David Ongchoco is a student entrepreneur and avid storyteller from the Philippines studying at the University of Pennsylvania majoring in what he likes to call, LIFE. He is currently working on expanding his nonprofit organization YouthHack. It's David's goal to make an impact in the lives of as many people possible while constantly learning new things every single day. If you have any interesting startup stories, David can be reached via Twitter @DOitChoco.